Dunlins flying on Hale Marsh. The Mersey Estuary is the 11th best wetland for birds in the UK. It is the best place for shelduck and dunlin. We know that because since the 1950s dedicated birders having counting the waterfowl. We now have excellent coverage of the whole estuary. However, there are still one or two gaps and in particular we need a couple more birders to help cover the most important area near Stanlow. The Manchester Ship Canal cuts off all public access to the extensive Ince and Manisty saltmarshes. However, once a month on a Sunday a small group of birders get access through the oil refinery and across the canal to carry out the Wetland Bird Survey (WeBS) count. The Mersey Estuary is the 11th best wetland in Britain for birds. Nearly one hundred thousand use the estuary every year. Although surrounded by heavy industry and houses it is a truly wild place where the tidal river meanders freely through the vast mudflats and saltmarshes and huge numbers of dunlin and other wading birds spend the winter. The estuary is the best place in the UK for dunlin with recent counts of over 60,000 birds. It is also the best place in the UK for shelduck with an average of 10,000 spending July and August quietly moulting and feasting on the risk mudlfats. How do we know this? We know this because each month, on a particular day, birdwatchers count the waders and ducks present on every wetland in Britain. 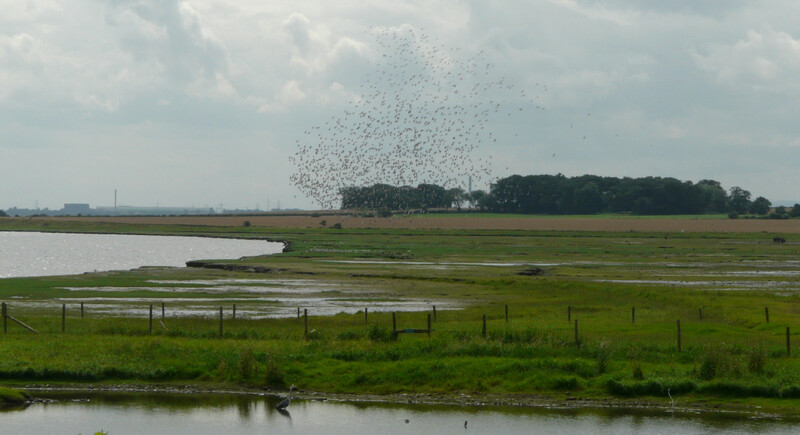 The counts, known as the Wetland Bird Survey (WeBS) are coordinated by the BTO and provide a massive data set. (see http://www.bto.org/volunteer-surveys/webs/publications/annual-reports) Each year they produce an annual report that summarises for each species and wetland the numbers of birds present each winter and gives a rolling 5 year average for sites and species. This means that the affect of unusual events or counts do not distort the data.